At Caret, we focus extensively to support businesses to adopt ERP software such as Odoo, ERP Next which is more cost-effective and less complex with constant support, Configuration, Customization, Version Migration, Implementation and on-site/off-site training to staff. Caret Offered E-commerce and Mobile Application Solutions, which allows seamless integration with ERP, which makes importing and exporting of data from third-party applications to ERP an easy task. 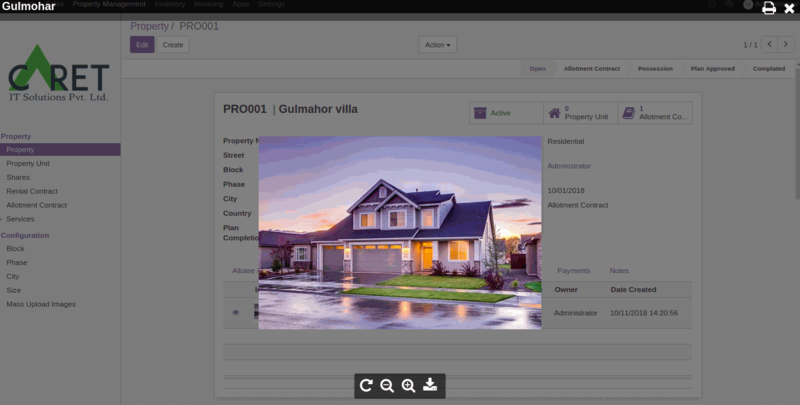 A rapidly growing Odoo ERP Focused Solution Provider. We’re an ERP, E-commerce Mobile Application consulting SMEs focused India based IT Company. We’re a team of professionals, thinkers, strategist, doers & storytellers packing a lot of experience across disciplines. Staying small keeps our hands dirty, our overhead lean, our turnarounds rapid, and our customers satisfied. Implement the right ERP system for your business. Then make it incredibly easy for them to convert – whether that conversation is an accounting, sale, purchase, inventory, manufacturing or something else altogether. As a pioneer in the independent ERP consulting industry, our team advocates for your success and your customers’ satisfaction. 100% independent of affiliation, we are able to truly serve as trusted advisors to our clients. 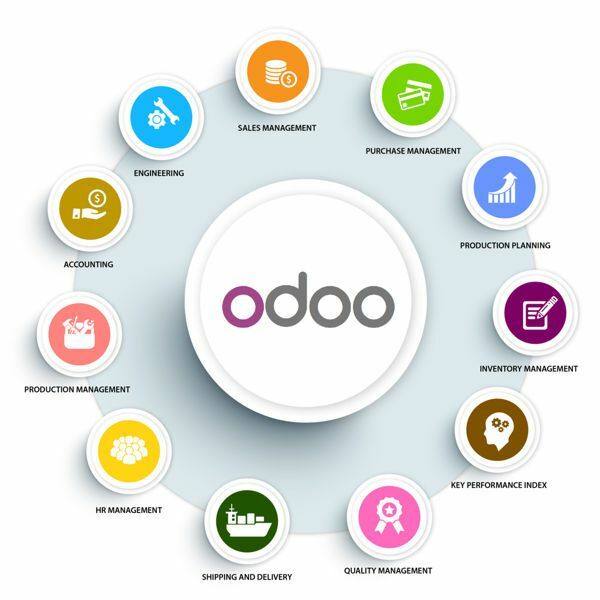 Odoo (Formally OpenERP) is one of the fastest growing Open Source ERP systems in the world. In today's highly competitive business landscape. We at Caret, offer highly competitive Odoo implementation services with a rigorous approach. Our technical teams are involved in the design process from conception to fulfillment which in turn enables us to put forward solutions that we are confident will work as expected. ERP software solutions help in integrating the information across all functions to provide a centralized resource that simplifies data and helps in decision-making. Our ERP software company customizes and designs ERP modules tailored to meet your needs and provide you with a competitive edge to help you survive in this competitive world. Created a number of business stories with our innovative e-commerce development. 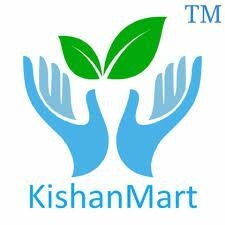 We are a complete service provider in the website and e-commerce with a capable team for building attractive websites and e-shops that make shopkeeper's working smarter. Our e-commerce web packages include unlimited products upload, user-friendly shopping cart, payment gateways, custom shipping, tax options, customer accounts, order history, etc. It gives an amazing user-friendly experience during online shopping and managing products at the back-end as a shopkeeper. Delivering top-grade quality mobile app development solutions is something we at Caret have been excelling in since the early launch of our business. Basically, we are armed with seasoned web application development technicians who excel in developing cool websites and web apps that perform best on all platforms. Caret is known as a best mobile app development company backed by a team of technically dexterous mobile application developers with a creative bent of mind. Our mobile app developers follow a standard coding procedure. To build a product development team that adds value to your existing IT team for long-term services and also wants to control outsourcing process, offshore development is the most suitable approach to go with. When you are looking for a long-term relationship with an offshore outsourcing service provider and also wants to control outsourcing process, offshore development is the most suitable approach to go with. An Offshore Development Center is generally engaged in developing, testing, and deploying software solutions and applications offshore. How we execute at Caret? Our customers choose us because we provide leading support, deliver unmatched services and training on time. Caret providing high-level software solutions with well qualified professionals with vertical domain knowledge. We have a standardized process, integrated architecture and delivered significant cost savings solutions in industry vertical and we can deal with key areas very effectively. We have an energetic and ambitious team with a vision to develop the best problem-solving approach. We are helping our customers bring their products to market faster while reducing their development costs. We are not doing just work but also take pride in the solutions we deliver. We encourage each other to achieve in all endeavors and aren’t satisfied until projects meet our own high standards. Unlike others in our industry, we can prove and show you how we deliver and Simplicity in IT management for you. Proper documentation of your network is critical for fast resolution of problems and to get projects done right the first time. At Caret IT we follow and enforce Security Best Practices for all our clients, as well as internally. Your Security is only as good as the weakest link in the chain. We got your back! Subscription flow is famous for service providing industry. This is an example where user can manage their subscriptions easily. There is several POS are available in the market. Odoo has their own strong POS system for Hotels and Shopping malls. But as we know Customers minds always want different and unique products. Easy Manage Resource on Task and make Schedule for each Task and Resources. The kanban view is a kanban board visualization it displays records as "cards". Different Looks in Opportunity Kanban view. That automatically changes colors as per configurations. Select field you want to monitor, action you want to trigger and before/after timing to trigger selected action. Orderbook is a system for Man power outsourcing companies, where day to day operations with budget, target and project base commission tracker. This module aims to make more attractive online quotation even you no need to go web quotation page to print it. Admin can configure various functionality for online quotation and rest of the reports as well from company configuration and quotation template form. Admin can set cover image on first page of the specific quotation. Property management system manages property and property units (a division of property). The heart of this system is a Rental contract, Allotment contract, Facilities, and its installments and payment management. Odoo (OpenERP) version migration is the method of keeping your business with latest upgraded Odoo version. 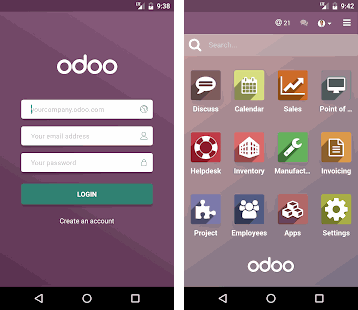 As we know Odoo continue Improving itself now stable OpenSource ERP with v12. An orderly composition leads to efficient tracking and better productivity. Educational ERP is a robust and comprehensive user-friendly ERP solution specially crafted for school and hostel administration. I am glad to write something about Caret Team. As the team continues to stand head and shoulders as far as quality of the product, support, of the product is concerned in Odoo ERP domain. Great Team, Passionate with a lot of know how to Implement, As Odoo is new for us in the Agriculture sector, But Caret has successfully implemented Odoo 10.0 for our company and make it easy. 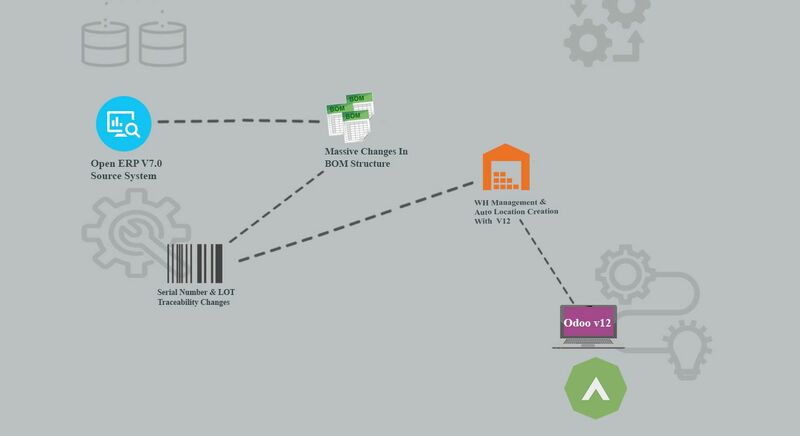 Odoo V7 to Odoo v12 Community Migration How?